-- Mitch Moreland (2005 Dans) starts his 10th season in the Majors with the Boston Red Sox. It's his third year in Beantown, after 7 season with the Rangers. -- Tanner Roark (2006 Dans) is on his first Opening Day roster with the Cincinnati Reds, following six seasons with the Washington Nationals. -- Mikie Mahtook (2009 Dans) is in his third year with the Detroit Tigers. 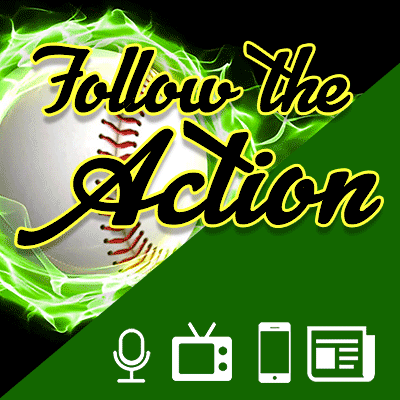 He previously played in two season with the Tampa Bay Rays. -- Nick Rumbelow (2011 Dans) has already played in a game this year with the Seattle Mariners. It's his 3rd season in the Bigs, including one with the Yankees. Good luck to all these Dans! Dans fans getting spring fever can provide a little relief with the purchase of a 2019 Ticket Book. Each book has 30 tickets - a $180 value. They can be used as a season ticket (one for each game), or bring 29 friends to one game and enjoy the fun. The regular price is $110, but now you can get one for just $100. New this year is the Dans Fun Pack. 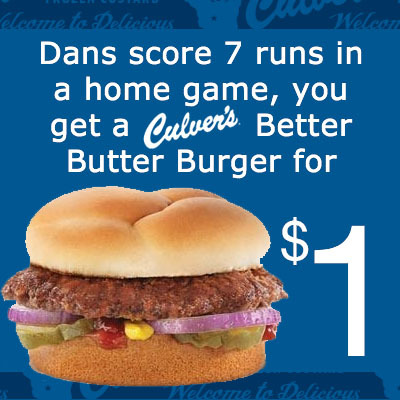 It includes 8 tickets (good for any game) and $10 in Dan$ Dollar$ - gift certificates that can be used at the box office, concession stands or fan store. The Fun Pack has a retail value of $58, but can be purchased for just $45. Just click on the links below to purchase online with a credit card. The Prospect League has released the 2019 schedule, and the Dans have announced their home dates. 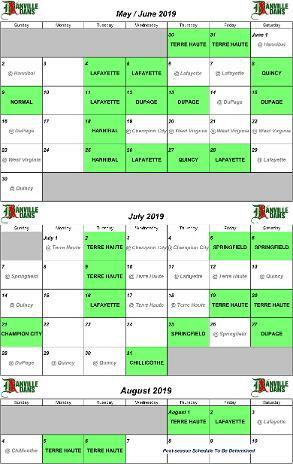 The season starts May 30 with back-to-back nights against the Terre Haute Rex. New team Normal makes their only trip to Danville on Sunday, June 9, with DuPage making their first Danville visit on June 12. There are eight Two-Buck Tuesdays this year, along with five Fridays and five Saturdays. Click on the schedule to see a larger version. - home and away - on www.vermilioncountyfirst.com. 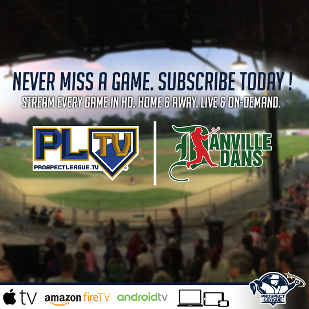 Or watch the Dans on PLTV.